The Godfather of Survivor is back! Literally, for certain. On the premiere of Survivor: Redemption Island we got our first glimpse of Boston Rob and Russell living out their testosterone fueled challenge to each other at the end of Survivor: Heroes vs. Villains. Far more importantly, The Robfather was figuratively back this week with a chilling performance at tribal council confirming that he’s earned his nickname. Unlike Russell, who’s sticking to playbook which has lead him to two final tribal councils, Rob has learned to adapt his game and assert his dominance in multiple ways. At tribal council, Phillip spilled the beans on Kristina and Francesca’s plan to get Rob out of the game using Kristina’s immunity idol and Kristina eventually fesses up to having the idol. Sensing vulnerability, Rob brazenly pounced and made Kristina an offer she couldn’t refuse: give Rob the idol and stay or keep it and she’ll be gone in no more than six days. Even if Kristina didn’t give him the idol (and, smartly, she didn’t) simply asking the question was a power play move for Rob that was far more effective than making an alliance or winning a challenge. 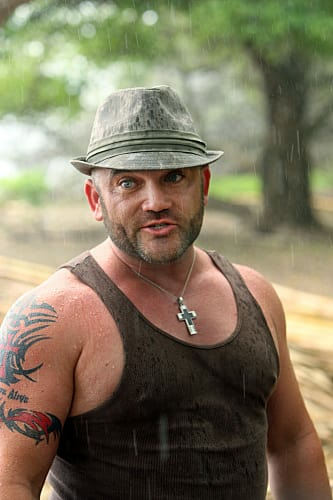 By challenging the person holding the hidden immunity idol, Rob demonstrated that he was not afraid of the idol. 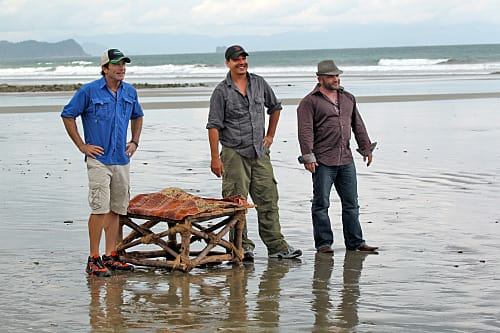 By effectively winning that challenge, Rob showed to the tribe that he was in charge regardless of the circumstances. Of course, Rob is fully in charge of only his own tribe. On the other side is Russell who is in charge of his tribe. Russell’s ascension may not have been as dramatic as Boston Rob’s, but it was equally effective. Despite the tribe’s best intentions and efforts. 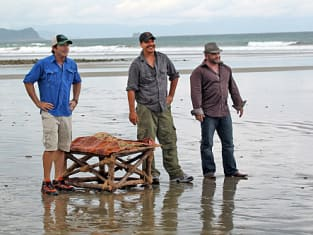 For starters, Russell’s tribe, Zapatera, was struggling to win the immunity challenge until Russell took over building the puzzle and avoided a New York Yankees in 2004 like collapse. Mike even corrected one of his tribemates during the challenge that he was listening to Russell, not him. Uh oh. Beyond that power play of necessity, Russell was able to get his claws in to Stephanie, the cute young female that is step 1 of “How to get Russell to the final tribal council” playbook. His tribe knew Russell would try to do that and couldn’t prevent it. Their biggest problem was that Stephanie thinks she can go toe to toe with Russell and win and is thus a willing partner. Personally, I’m excited to have Boston Rob and Russell back. In my past reviews, I’ve made no secret of the fact that I love both players, particularly Boston Rob. However, I’m sure there will be people who attack the decision by the Survivor producers to bring back Boston Rob and Russell as simply a gimmick movie and/or a ratings grab. First off all, Survivor (and all television shows) does not exist without ratings. If bringing Boston Rob and Russell back ensure the success of a show in its eleventh year of production, that’s fine with me. Second off, both Boston Rob and Russell are incredibly entertaining personalities and very exciting players. Isn’t that what we want from our survivors? Isn’t that why last season, well, stunk? If their presence adds two more exciting personalities to a hopefully entertaining cast, the more the merrier. That brings me to the only disappointment of this episode: who’s on the outside already. Kristina may still be around and still have an immunity idol, but she’s got her work cut out for her to stay. That’s disappointing because she’s already proven to be an exciting player. She found the hidden immunity idol on her own and only Russell’s accomplished that so far. One could argue Kristina’s feat was even more impressive. Kristina’s problem was that she was too eager to go after Boston Rob right away. She couldn’t see that getting Rob out of the game was less important than getting herself further. As Francesca pointed out, voting out Rob only gives them three more days. They’d both be voted out after that. The point is that the pair, Kristina and Francesca, brought more to the episode than Rob’s five alliance members. Granted this is a product of editing, but, quick, can you name two of Rob’s alliance members? They were not featured this week because they’re not interesting. Francesca and Kristina are interesting, but Francesca is now gone and Kristina is on the outs. Or are they? I almost forgot about Redemption Island. I won’t go in to my thoughts about that now, but wait until we actually see how it all works. Phillip and his “droopy, fuchsia briefs” have to go. He’s annoying to listen too and even worse to look at. Incredible that he survived this week. Who else was thinking mid-way through the episode that he would be the first voted off? Do people still like the overly dramatic opening of Survivor? For my money they’re tremendous. The differing receptions for Rob and Russell were priceless. I’m sure we’ll never get to hear Russell’s impressions of how or why he was not as warmly received, but I’d pay a good chunk of money to find out.